The creator of ‘Paper Pencil Life’ discusses her latest book, poetry and more. 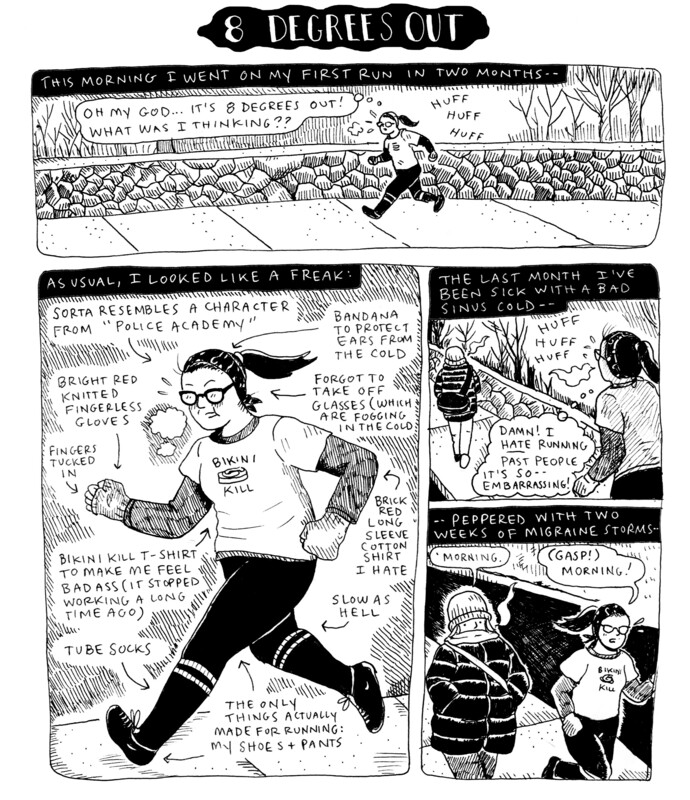 Summer Pierre has been making comics for years in the pages of her series Paper Pencil Life and in magazines and anthologies, including Mutha Magazine, The Rumpus, Ink Brick and Bottoms Up! She’s illustrated All the Pretty People by Ariel Gore, It’s Not You, It’s Brie by Kirstin Jackson and other books. 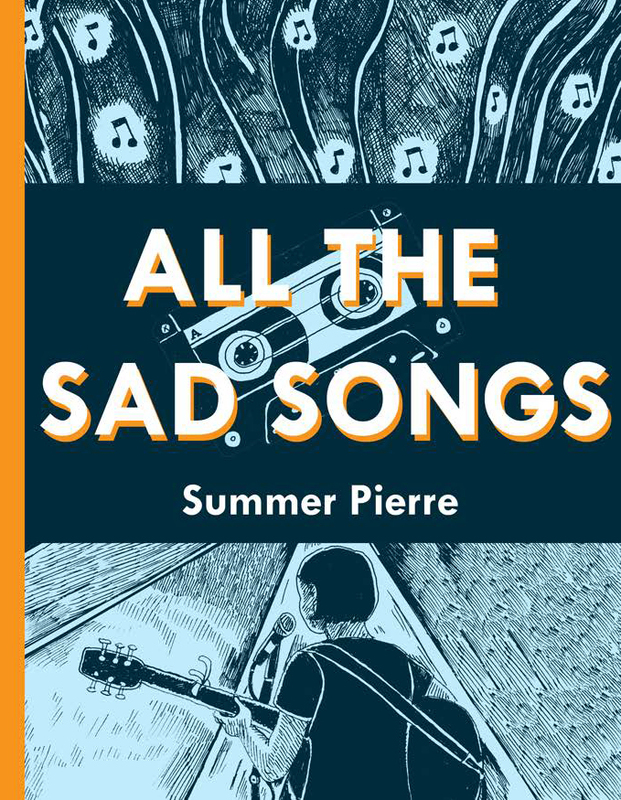 This month Retrofit is releasing Pierre‘s graphic novel All the Sad Songs. 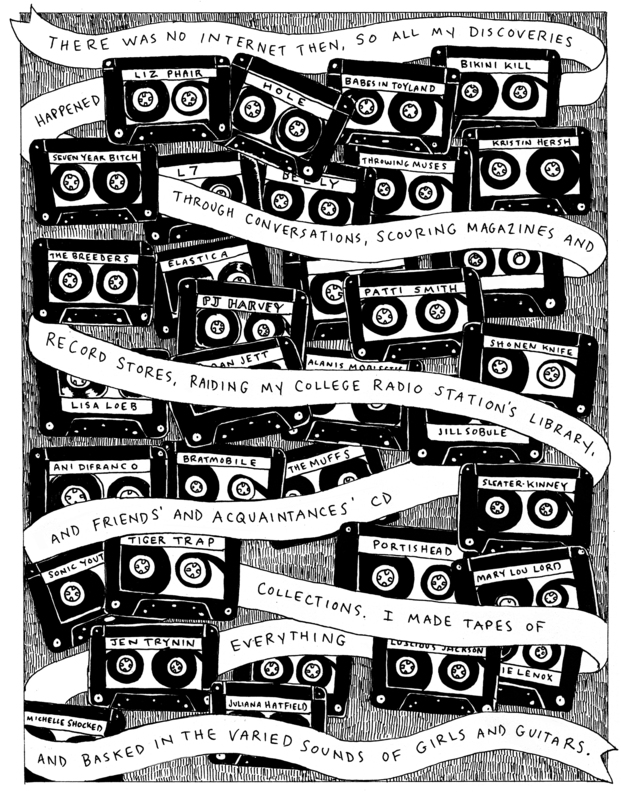 The book is about music, which sounds amorphous and vague, but Pierre begins by examining mix tapes she made and still has, the songs and the bands that defined her life, her own music and the years she spent in her twenties singing in clubs and cafes around Boston. Pierre and I have been running across each other at shows in recent years and often end up talking about poetry. When she mentioned that she had a book coming out, I asked if we could talk about the book and her work. Summer, we’ve been seeing each other at shows for a while now, but I always like to start by asking people, how did you come to comics? I made them as a kid and as a teenager, but then in college I tried to write my first graphic novel and found it so tedious and hard that I quit. I thought I wasn’t “cut out” to be a cartoonist and I should do something else easier like writing a novel with just words. [laughs] I finally came back to comics about 5 years ago during a period of transition. They snuck into my journals and just took over. It was like rediscovering an old friend! I’m never leaving comics again! So what is All the Sad Songs? It’s a memoir about my 20’s mainly through the mixed tapes I made in that decade. There’s a lot more to it than that, but that’s the gist of it. Where did this idea come from? By which I mean both the idea of a memoir around music and also how you went about structuring and organizing it. 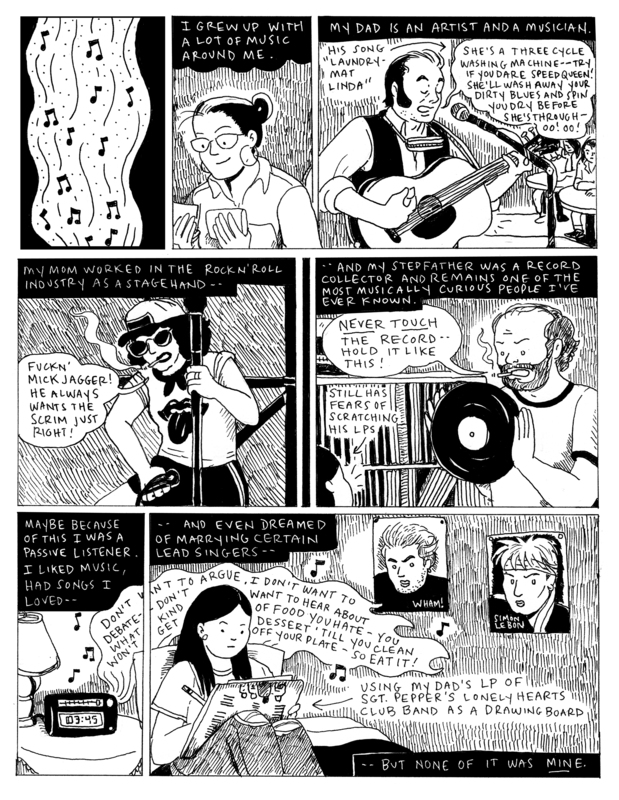 Retrofit had suggested a 25 page comic about anything. I thought it would be fun to do something around mixed tapes, something that a lot of people around my age have a lot of feelings for. 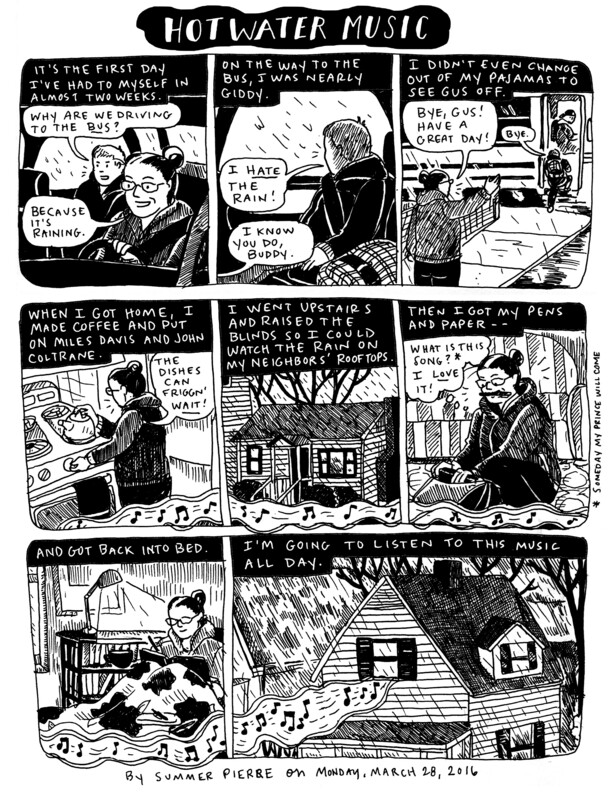 I had just written a comic about an old mixed tape that I had discovered and it was bringing up lots of places I could write about. I thought it would be a funny nostalgic romp through boyfriends and personalities, but once I got started it immediately took on a life of its own – and it turned out there was A LOT more to that idea than I was ready to admit when I started it. I had a lot to say about the language of music and how it both shapes and echoes back to you your own experience. It was an organic process. I initially had about 45 pages, but it kept growing and going into deeper and at times darker places I hadn’t intended on going when I started. Making it was a wild ride for sure. For younger readers should we explain the cassette tape? Or should we just move on? Cassettes are starting to make a comeback so I am not sure it’s needed. I had a great conversation with a bunch of 20 somethings who were like, “No, cassettes are back and they are rad!” I told them to stop stealing words like “rad” from their elders. 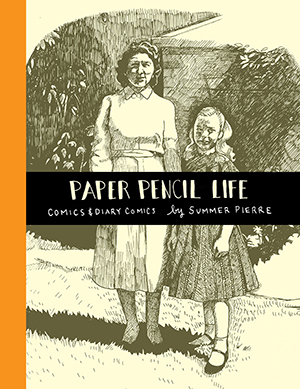 Comics readers know you for your series Paper Pencil Life and this book is a different kind of project. Were you consciously thinking, I need to make this book differently and organize and plan it out differently than your other work? Did your process change as a result? I don’t think of it as a big departure from Paper Pencil Life in themes or tones – perhaps it goes deeper and is more directly of the past, but if you notice its starts off like a diary comic: “This morning I was working on a comic about music that’s not going well…” and goes from there. I did want to do something longer than I’d done before – but I was thinking 25 pages when I started. The longest piece I’d done was 5 pages, so 25 seemed like a good stretch. Then I got started and it just kept adding and adding pages. 8 months later it was 104 pages! I also wanted to challenge myself artistically. Paper Pencil Life has been mostly diary comics I had made in my journal, more often than not without a ruler, and with little bits of time. With this project I was interested in taking more time with the art and doing something with more care. All my favorite comics are ones that clearly have time in the work – I wanted to see if I could make something that rich. It was one of the hardest things I’ve ever made, but it changed me. At the end of it I became a different athlete, with different muscles than I had before. I tried going back to the loose form of the dashed off diary comic, but it’s not there anymore. My work has gotten longer and more detailed. I’m more interested in what the pages look like than just the content. How did you end up at Retrofit? Box Brown reached out to me and said, “Hey you want to do something with us?” I love what they do so I quickly replied, “heck ya!” Then I panicked. One of the things we always talk about when we see each other at shows is poetry. And now after reading your memoir I keep thinking that some of what you used to find in music, you find in poetry. What do you like about the form? So what’s next for you? Because you have done something differently and made something different than your previous comics. What are you interested in doing more of, what do you want to do now? I’m working on another issue of Paper Pencil Life. One of the things I’ve always been committed to in comics with Paper Pencil Life is just the spirit of experimenting. So I’m experimenting in forms and drawing out pages just to try out new things. I’m in the middle of a 10 page comic that I hope I’ll get done this fall. I also have ideas for another book, but I’m waiting on it to gel a bit more before I take a stab at it. I also started making diary comics out of haiku this last April and I have a book planned of those I hope to release in the next year. Like I said, more experimenting!